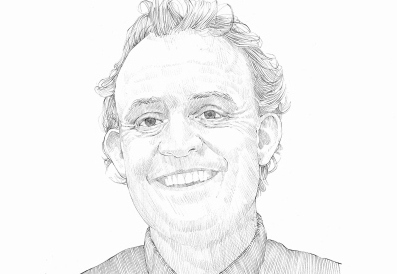 Noel Farrer is a founding partner of Farrer Huxley Associates. No one wants war, yet the world has more conflict today than at any other time in history. All of it hiding behind justification, denial, selfishness, rhetoric, lies and misinformation. A farmer close by the small village of Green Hammerton in North Yorkshire is promoting his farm as a site for 3,000 new homes. It is slap-bang in the middle of the countryside at the mid-point between York and Harrogate. In April I attended the Ministry of Housing, Communities & Local Government (MHCLG) conference on design quality. The design professions of the built environment have been pushing the importance of design quality for years with little success. I left the conference believing we are seeing a change. I have just returned from the beautiful landscape of Cervinia, a village tucked under the Matterhorn in the Italian Alps. I have been skiing, which delivers some 40,000 people to the pistes of this area every year. Can anything positive come from the felling of street trees in Sheffield? The sight of contractors unloading chainsaws and chopping down street trees outside residents' front doors is visceral. People feel shock and disbelief. I found myself recently thumbing an old copy of George Orwell's 1984. Flicking through, much of what is unfolding today chimes with my memory of the book. New green villages and towns do not resolve housing need, they neglect towns and are a poor use of valuable countryside. The housing we are planning and delivering today is storing up a disaster of such proportions that we will regret it, much like we have regretted the scars caused by modernist ideology imposed on our cities in the 1960s. Noel Farrer sees a link between our treatment of landscape and our decision to vote Brexit. It has been a tumultuous time with Brexit and, for me personally, the conclusion of the presidency of the Landscape Institute. I have been bemused by the paucity of the debate on Brexit. The relentless drive to justify and capture everything in a neo-liberal context is irrelevant. For me the scrabbling about propounding spurious figures of how poor we will be if we leave or how much richer we will be if we stay completely misses the point. Diversity and how we embrace it in all its forms is central to all political agendas we face today. Whether migration, the movement and integration of societies or the more understood agendas of sexism and racism, the challenge of diversity in all its forms underpins the future of people's success in this world. Our climate has and will continue to change. People's capacity to accommodate this new reality amazes me.